Beijing, June 24: At least 98 people were killed and 800 more were injured after a tornado -- accompanied by hailstorms, thunderstorms and lightning -- hit eastern China early Thursday afternoon, the government said. The extreme weather, packed with winds up to 125 kilometers per hour, destroyed homes and factories and tossed cars into the air in parts of Yancheng City in China's Jiangsu Province, according to a statement posted online by the local authorities. "When the tornado hit, the wind was howling and the sky turned as dark as night," a local villager told CNN by phone Friday. "Almost all the houses here have collapsed." The resident, who wanted to be identified only by her family name Qiu, described the flattened village looking like the aftermath of a powerful earthquake, adding that her niece suffered minor injuries. Zhou Qingchun, another local resident, described swirling in the air in the tornado as he stepped outside of his home in an attempt to rescue his mother living nearby. "Within two minutes, I was swept away and then hit a house," he told state broadcaster CCTV. CCTV said that Zhou tore his tendon in the ankle while flying debris pricked his back. Local hospitals were overwhelmed by patients with serious injuries, the broadcaster reported. 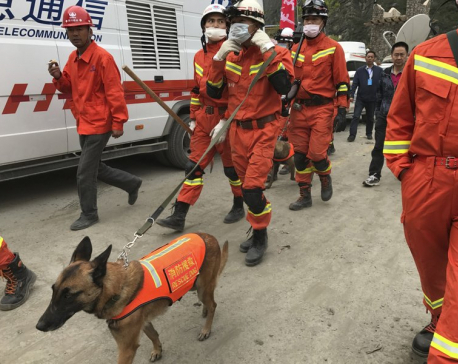 Police in Yancheng, a city of more than 7 million residents, said Friday that emergency crews had rescued more than 100 people and evacuated 2,000 others. 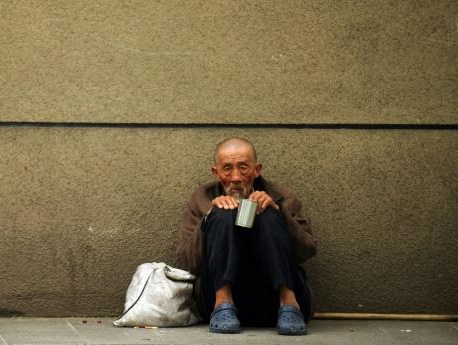 The central government in Beijing has sent a team to oversee disaster relief efforts along with 1,000 tents, 2,000 folding beds and 10 sets of emergency lights, according to the Ministry of Civil Affairs. The provincial authorities in Jiangsu deployed a rescue team of more than 1,000 people, as well as sent supplies. How do tornadoes form? 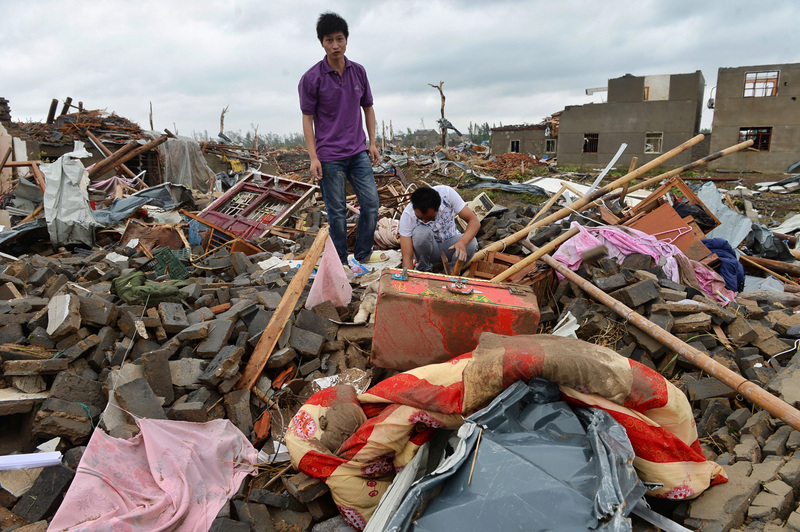 Tornadoes are rare in China, but not unheard of. Unlike in tornado-prone areas of the United States, most Chinese people lack awareness of the weather phenomenon. The lack of a warning system and underground bunkers as well as population density may have also contributed to the heavy casualties.